Can a sea be brackish? Read on. 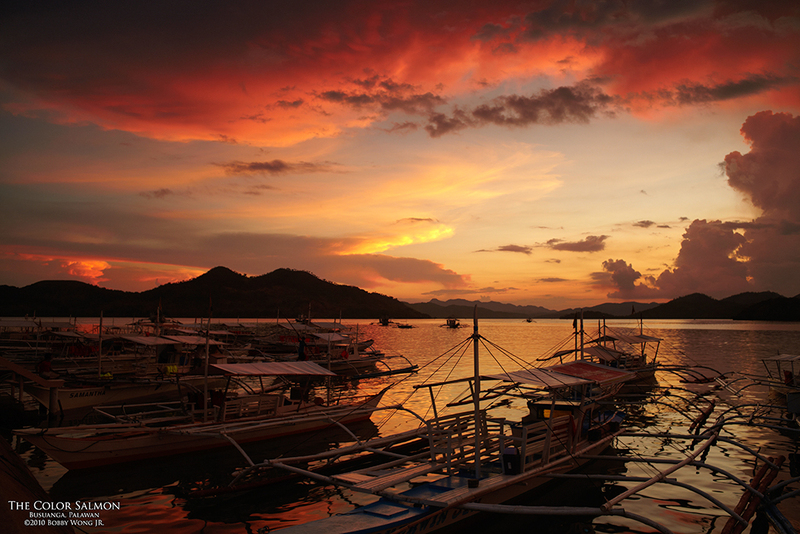 We were in Busuanga, Palawan, on a banca speeding towards Cayangan Lake on the island of Coron. Half an hour later found us in a lagoon at the foot of an imposing wall of limestone. Up a steep flight of steps, we eventually huffed-and-puffed our way to a look-out point with an expansive view of the islands. Then it's down a jagged trail until we descend onto the shores of an emerald-colored sea. Nice, very nice. And the brackish seawater? It's less than salty because of an an active underwater freshwater spring. 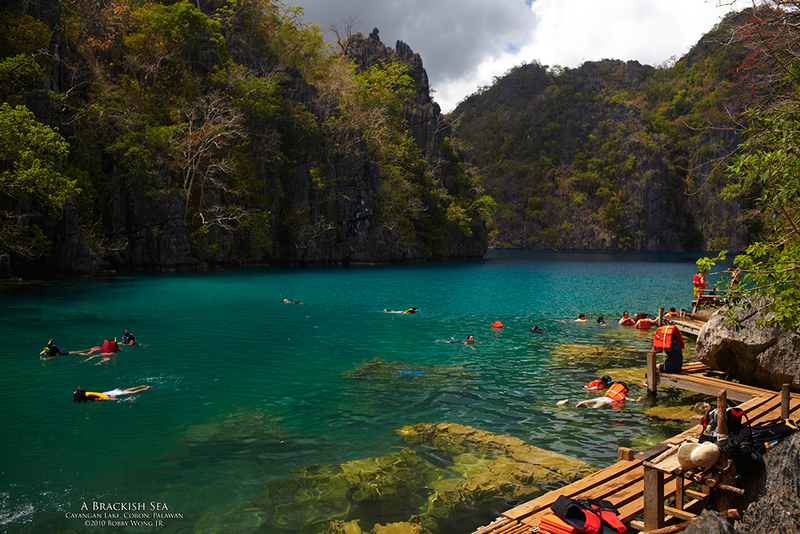 Cayangan is, after all, a sea lake completely enclosed by limestone cliffs. Along the water's edge, there's a faint echo that gently envelopes you, like whispering waves inside a seashell. And the water? The color is alive... my photographs fail... this place is enchanted... put it on your bucket list... Enjoy. 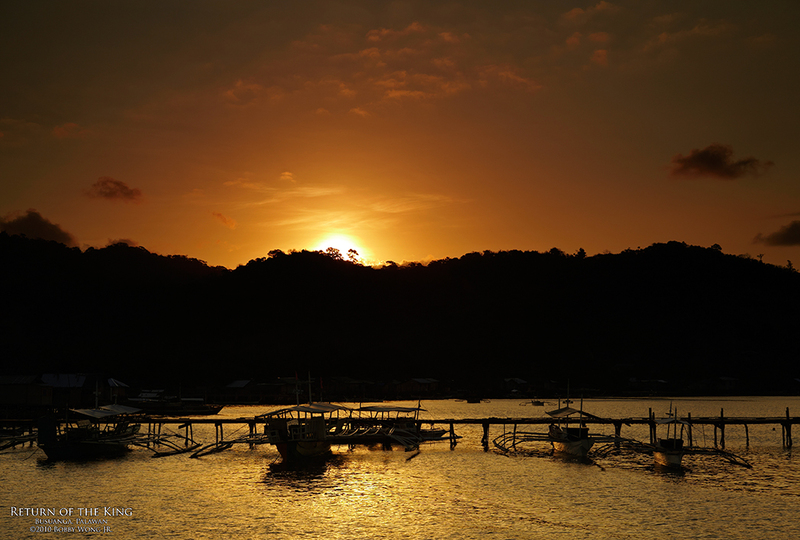 (Pixel-peepers: The air over Palawan is very clean so the light is clear and intense even on an overcast day. Inside a narrow lagoon where the light comes mainly from the top, high contrast zones can make exposure decisions difficult. Do I expose to hold back the bright sky? Or do I bring out the detail in the shadowed cliff faces? How about the water? Q: How many chickens live under this house? A: Does it matter? 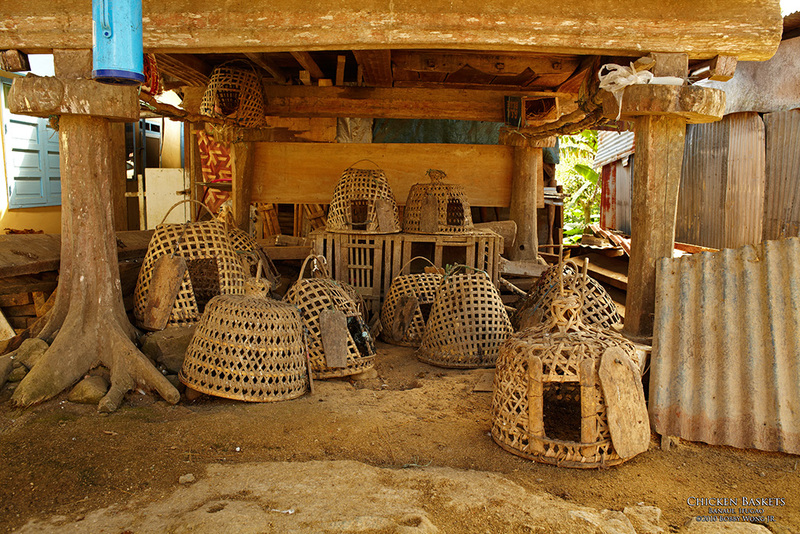 We were driving past the town of Banaue in Ifugao province when something caught our fancy. A traditional Ifugao house is just off a side road, nestled between a cluster of modern day homes. It's called a "fale" and it's built without nails. It can also be disassembled and moved elsewhere, probably the reason why this one isn't in the middle of the rice fields anymore. An amusingly anachronistic sight, but what caught our eyes was the biggest collection of chicken baskets we've seen in a single place, parked under it. In the terraces where flat land is scarce, they love their chickens. The chicks roam freely, feed in the wild, multiply without assistance, and grace the table when the need arises. What could be simpler? So how many chickens lived there? Beats me. We didn't see any although the baskets sure smelled like something's been there recently. What we consider to be chicken homes, the chickens probably see them as jailhouses! No wonder they're all gone. Enjoy.